Featherfest focuses on such activities as birding and nature photography field trips and workshops. View the region’s birds in their native habitats, including the East Texas ecosystem known as Pineywoods, the Katy Prairie, the Armand Bayou Rookery, the Nature Conservancy’s Texas City Prairie Preserve, the southern end of the Bolivar Peninsula, Lafitte’s Cove Nature Preserve, known for migrating songbirds, and the “Galveston Complete Birding Sampler,” where you’ll scout for evidence of migrating peeps, Great Blue Herons, and foraging shorebirds. 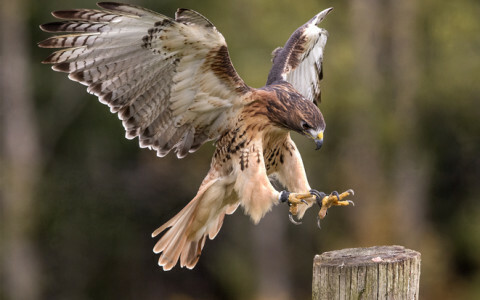 Be sure to catch “Raptors Revealed,” a series of raptor shows featuring live birds of prey in thrilling free-flight demonstrations. Home to the Texas Seaport Museum, The 1877 Tall Ship ELISSA, the Ocean Star Offshore Drilling Rig and Museum, dolphin-watching tours, and more. Next, experience a thrilling behind-the-scenes animal encounter at Moody Gardens. Get up close and personal with seals, penguins, and giant river otters as you learn about their care and conservation with an on-site biologist. 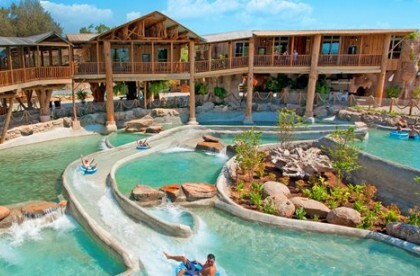 Lastly, check out our own Schlitterbahn Waterpark Galveston. 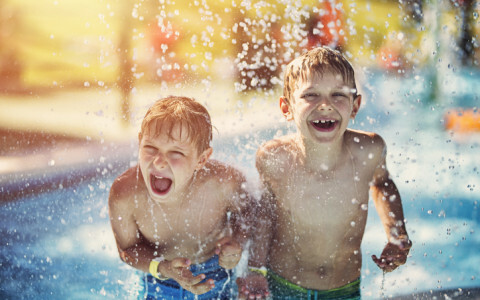 Our thrilling collection of four slides and raft rides also includes a kid’s area, a swim-up bar for the adults, and picnic pavilions for the family. The fun begins with a kickoff party at Yaga’s on Friday evening, and continues all day on Saturday; starting at 6:00 a.m. Along with the chili and beer, you’ll find a variety of margaritas at Saengerfest Park, with live music and the Jackpot Margarita Contest. Also, don’t miss the ever-popular and hilarious Beerfooter 5K Fun Run/Walk, with contestants sporting their most outrageous getups. Come out to cheer them on, or sign up to participate! The Strand Merchant Walkabout will kickoff at 11:00 a.m., along with the washer-pitching tournament. Vendors will be out in abundance, so stroll around and peruse the array of hand-crafted items, jewelry, and more. Want to see who gets the title for best chili? Head back to Saengerfest Park for the awards ceremony at 4:30 p.m. We’ll look forward to seeing you there! Many places have a “haunted” reputation, but none has exhibited more paranormal activity than The Bishop’s Palace. This 1893 National Historic Landmark is one of the City’s few original structures that survived the great 1900 hurricane, and was the home of Walter Gresham and his wife Jean. In fact, Walter was so attached to his home that he decided to stay on – for more than 125 years now. He is often seen pacing on the front porch whenever freakish weather is occurring. To visit the Bishop’s Palace, take one of their Full Moon Tours on October 24 and November 23. Sponsored by the Galveston Historical Foundation, this tour offers an up close look by moonlight at one of the country’s most distinguished, 19th century Victorian homes. For reservations and details, click here. Sculptures are judged on technical difficulty, originality of concept, artistic execution, carving technique, and site utilization. Along with the Golden Bucket, additional awards are given, including Best Traditional Sandcastle, Tallest Standing Structure, public favorite, and more. The competition and festival is a fund-raiser for AIA Houston and the ArCH Foundation, but also one of Galveston’s top five revenue-generating events. Don’t miss out on this fun and family-friendly event - pack a picnic and come on over for a day of fun and sun on the beach. Also, be sure to stick around for the Brewmasters Craft Beer Festival at Moody Gardens on August 31-September 2. 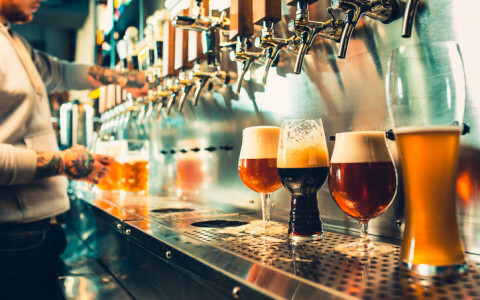 Named a “top three beer event’ by USA Today, the event will feature tastings of tequila and an abundance of craft brews along with live music and a “Brew-B-Que. For more information, click here. Carrying as many as six crew members, 70 vehicles, and 500 passengers, the ferry trip takes about 18 minutes and covers almost three miles. Walk-on is a great way to go if you’re planning on visiting Bolivar Peninsula, with its views of Fort Travis and the Bolivar Lighthouse. You can ride in comfort in the outside observation area, or surrounded by windows and air conditioning while seated inside. The ferry is a terrific way to travel in comfort while enjoying a variety of interesting views. Don’t forget your camera! For more information, call (409) 795-2230. Don’t feel like running? Hang out and cheer on the runners along the scenic seawall race route of the Island, and celebrate with them as they cross the finish line of tiny bubbles and toss back a glass of Barefoot Bubbly champagne. Afterward, sample up to 100 different varieties of vino from worldwide winemakers, while noshing on bites from several of the region’s most talented chefs and listening to fabulous live entertainment. Don’t miss the Grand Tasting, where a VIP admission will get you all of the perks above, along with a souvenir wineglass and all the tastings you desire. The small bites will be prepared by Executive Chef Chris Lopez from BLVD Seafood, and by Lance Fegen, Culinary Director and Managing Partner of F.E.E.D. TX Restaurant Group. For Fun Run registration and Grand Tasting tickets, click here, or here. It’s also a vital winter habitat for many species that live further to the north, such as the stately and graceful Sandhill Crane. Renowned for their trumpeting cries and fascinating dances, flocks of these birds make this area their home every year. So far, almost 100 of them have been spotted at a local roosting grounds. In celebration of the crane’s return, the Galveston Island Nature Tourism Council is presenting “Holiday with the Cranes.” On the weekend of December 9th-10th, visitors can take advantage of a myriad of activities, such as “Coffee and Cranes with Jim Stevenson,” “East End Winter Coastal Birding,” and “Winter Birding on the Isle’s West End.” Intrepid early-birds will appreciate “Dawn Patrol,” which features stunning views of the cranes taking flight, dance, and trumpet, along with hundreds of other marsh birds. For more details and to register, click here. 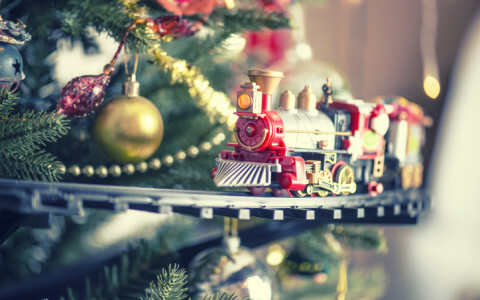 Beginning November 24, Saengerfest Park will be the setting for “Downtown Lanterns and Lights,” a lovely collection of hand-made items and Christmas trees that will illuminate the park. Family holiday photos can be taken inside a giant snow globe as of November 25th and 26th, in addition to three days in December (9, 16, and 23). “Downtown Lanterns and Lights” will be on display through January 2, 2018. For more information, click here. Moody Gardens’ Festival of Lights includes hundreds of animated and sound-enhanced light displays, along with snow tubing, and ice skating. Don’t miss “Ice Land,” the Gardens’ 28,000 square foot exhibit featuring ice sculptures with a rainforest theme carved from two million pounds of ice. Both “Ice Land” and the Festival of Lights begin on November 11, and will run through January 7, 2018. For more information, click here. Lastly, be sure to attend at least one of the holiday performances at the Grand 1894 Opera House. Between November 12th and January 13th, the opera house will host a variety of exciting entertainers and performances, including “An Evening with Sophia Loren,” “Willie Nelson & Family,” “STOMP,” and “The Official Blues Brother’s Revue. For tickets and details, click here. In 1900 the home was purchased from its original owner by W.L. Moody Jr., wealthy financier and merchant who would become one of the ten richest men in America by the 1950s. The house was occupied by the Moody family for over eight decades. Today, visitors can explore its 28,000-square feet filled with antiques, art, furniture, and other personal items that once belonged to this sophisticated and eccentric family. Self-guided audio tours are available, but much of the house is only accessible to those who choose to take the guided tour. Visitors with kids in tow will also want to check out the Galveston Children’s Museum on the ground floor of the mansion. And car aficionados will want to pop into the garage, which is currently hosting Auto Fever, an exhibit on the history of the automobile in the United States. You can even explore the state-of-the-art digital database that catalogues over 130,000 immigrants who came to the US through our city, “The Ellis Island of the West.” You can take a harbor tour on the museum’s 50-foot, twin-engine Seagull II or opt for the special marine biology tour where you’ll witness dolphins at play in their natural habitat. The crown jewel of the museum is Elissa, a sailing ship with an iron hull and three masts constructed in Aberdeen, Scotland, in 1877. You can climb aboard and explore every facet of her breathtaking build. At two hundred five feet long and 99 feet tall with 19 sails, this massive vessel is enough to make even a seasoned sailor’s eyes go wide. Farley Girls Cafe is a charmingly inspired spot that always pushes ahead with inventive entrees. Order a breakfast pizza with lox and cream cheese, the chicken schnitzel over waffles, or hashed barbecue pork. Comfortably hidden over in the East End, one of Galveston’s most historic neighborhoods, Mosquito Cafe is a quaint venture that might brag about an eclectic style and its old-time charm. A food affair awaits, made from scratch. Number 13 is an elegant fixture that primarily serves steak and seafood. However, their spicy Bloody Mary bar opens for the weekend and things only get better from there. An upscale feast of succulent brunch awaits. Built up within the historic district of Post Office Street, Old Quarter Acoustic Cafe remains one of Galveston’s best venues for live music. It’s a quirky place that remains open till noon the following day, with a strict policy against lousy cover bands. During an evening spent in Galveston’s arts and entertainment district, you’d be wise to include a peek into O’Malley’s Stage Door. This authentic Irish pub has been filling pints with more than one hundred varieties of beer for a dozen years now. While a majority of the nightlife to be found in Galveston caters to beachgoers, 21 is an upscale exception to the rule. Throw a monkey wrench into blasé nightlife with this trendy alternative. Enjoy one of twenty martinis listed on the menu and a freshly cut cigar. 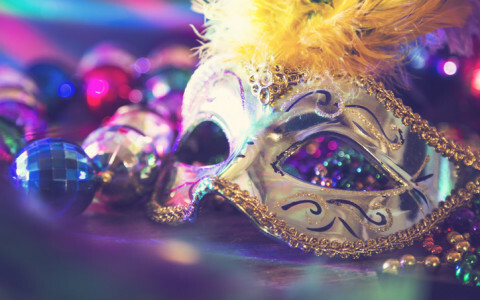 Country music star Stoney LaRue and chart-topping alternative rock band Sugar Ray are scheduled to headline performances at this month’s Mardi Gras festivities in Galveston, which goes live on Friday, February 17th and spills over into Saturday. Every year our city is proud to host the most ambitious Mardi Gras celebration in the state of Texas. Famed for producing superhits like “Every Morning,” “Someday,” and “When It’s Over,” Sugar Ray is a veteran of the entertainment industry with over thirty years of rock heritage. Galveston will get a head start on the bead-throwing madness, beginning a few days before Fat Tuesday itself. This leaves room for a host of related activities, including Electric Mardi Gras, an area dedicated to non-stop DJs and laser light shows, and the all-new Fiesta Gras, featuring Tejano music and a performance by La Mafia on February 19th. Click here to purchase tickets online, or grab them at the gate.